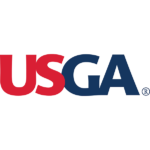 The USGA will host a championship on a military organization’s golf course for the first time, announcing that the Eisenhower Golf Course at the U.S. Air Force Academy will host the 2020 U.S Girls’ Junior Championship. The event will be staged July 13–18 at the course in Colorado Springs, Colorado, and will mark the 72nd edition of the tournament. The USGA will use the Blue Course on the 36-hole venue, which opened in 1959 and was designed by Robert Trent Jones Sr. The Junior Golf Alliance of Colorado will serve as the host group for the championship.